here is an example how skype can be used to connect student from around the world. Here a 4th grade class made up question and then sent them to this young lady and then on this day ask them to here. It created a chance for the students to think about what to ask and allowed the presenter to prepare for the questions. A 15-year-old schoolboy could save millions of lives after he invented a new, low-cost test that can detect the early stages of a deadly form of cancer. This video promotes the opposite of cyber bullying and is one that every one needs to watch. It is changing peoples lives one person at a time. This young man needs to apply to speek at TED he is changing the world in a simple but effective way. Dr. David A. Sousa is an international educational consultant and author of more than a dozen books that suggest ways that educators and parents. Dr. Richard Paul discusses and defines the basic elements of thought involved in critical thinking. Excerpted from the Socratic Questioning video series. This week on Dateline Schools, Terry Harrington visits Capac Middle School to which had a high rating in the Blue Water Area Conference of the State of Michigan's Top to Bottom List. Our guest this week is Matt Drake, Principal at Capac Middle School. This week on Dateline Schools with are following up on the Virtual Learning Academy or VLA. Talking with your host, Terry Harrington, today is Assistant Director and Health Education Director, Ryan Murphy and the Administrator of the VLA, Denise Lapish. Register at http://plpnetwork.com/lite - PLP Lite is a 12-week eCourse that will take you from "What is 21st Century learning and why is it important?" to "How do I create a 21st Century classroom or school?" If you joined us for Connected Educator Month, you're going to love this extended learning experience. Take what you learned during the month of August even further and learn how to bring Web 2.0 tools and connected learning into your classroom every day. Education at the Speed of Trust! Mastered the basics? Learn what makes a great prezi from an expert. With the new iPhone and enhanced iPad apps your prezis are just a fingertip away. Download Prezi apps here: https://prezi.com/mobility/? Great article on Kahn Academy and how his free math program is changing the face of education. http://www.ted.com Career analyst Daniel Pink examines the puzzle of motivation, starting with a fact that social scientists know but most managers don't: Traditional rewards aren't always as effective as we think. Listen for illuminating stories -- and maybe, a way forward. TEDTalks is a daily video podcast of the best talks and performances from the TED Conference, where the world's leading thinkers and doers give the talk of their lives in 18 minutes. TED stands for Technology, Entertainment, Design, and TED Talks cover these topics as well as science, business, development and the arts. Closed captions and translated subtitles in a variety of languages are now available on TED.com, at http://www.ted.com/translate. Sailor and founder of the Ellen MacArthur Foundation presents this talk about population, depleting natural resources and the role of education in establishing a new approach based around the Circular Economy. 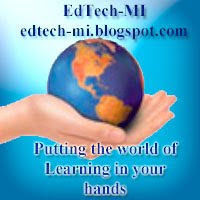 Michigan Flipteaching Conference: January 19, 2013 the First Annual Conference. "Disruptive Innovation: Online Learning, Bring-Your-Own-Device (BYOD) and One-to-One Devices...Are Your Systems Ready for This? " Google site with all the information and videos for this presentation. How does online learning stand to transform our educational system over the next several years? This is what Christen Clayton and Michael Horn have coined, "Disruptive Innovation," in their book, Disrupting Class: How Disruptive Innovation Will Change the Way the World Learns. This session will look at how other innovations are standing by ready to replace public education as we know it today if we don't work to transform our school systems rapidly. Internet traffic is increasing at a rapid rate due to online learning and streaming educational videos. As CTO, are your organization's systems ready for these changes? Is your wireless network system up to the task needed to support these changes? What trends do Level 5 leaders need to be looking at? Fred Sharpsteen is the director of technology at Unionville-Sebewaing Area School District. His professional work over the last 17 years has focused on integrating technology into curriculum so that it becomes seamlessly integrated into student learning. Fred received his B.S. in networking and business management with a concentration in Cisco Networks from Davenport University in 2006. He completed his M.S. in technology education at Central Michigan University in 2009. What is are the driving trends of technology in education today? What is Level Five Leadership? Learn about the latest classroom technologies with a Master of Arts degree in Educational Technology -http://bit.ly/MAinEdTech. Dr. Timothy Brannan discusses who this program is designed for. This link is about how we are restricting the learning of children by limiting social networking in school. This is an interesting article that we need to examine our school policies.